LCD TV, Separate Wc/Shower, Generator, 220 V, Ice Maker, Service Boat, Wind Surf, Fishing Eq. 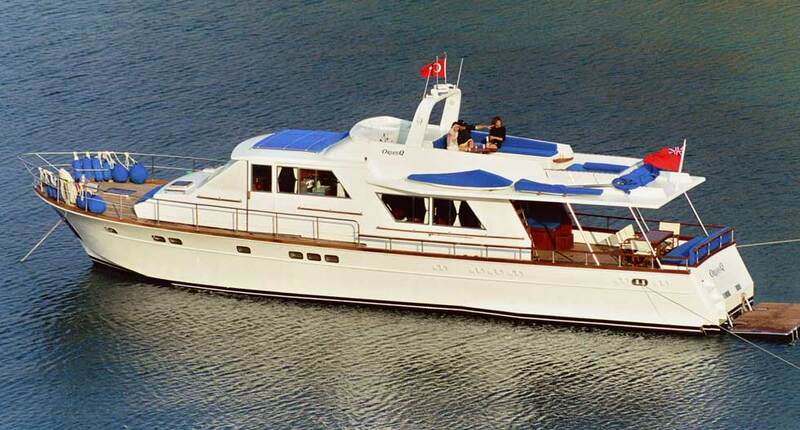 M/S Enderim was built in 1993 in Bodrum and is a gulet style yacht. That is typically built of pine wood or mostly mahogany nowadays and styled with a pointed bow and round stern. Modern Blue Voyage boats like M/S Enderim is comfortably equipped with all amenities of home and encourage an environment in which you are expected to do nothing but enjoy yourself.